If you listen closely enough, you might be able to hear the cries of agony from sci-fi RPG enthusiasts worldwide. The earth-shaking screams follow a recent grant application to the Polish government from CD Projekt Red (developers of the critically acclaimed Witcher Trilogy) who stated that Cyberpunk 2077 will most likely be released between 2018 and 2019 (see “Development”). Considering how far into the year we are and that the game only has a single trailer up for viewing, the 2017 release is highly unlikely. The delay follows years of waiting by fans; from the title’s announcement back in May of 2012 to pre-production in 2015. If the additional positions to the already growing developer are any indicator, Cyberpunk 2077 is looking to be massive. While the addition of multiplayer has been confirmed and is sure to push things back, the recent delay seems to lie within the sheer scope and scale CDPR is taking on with their most recent project. Spoken of in hushed circles and spawned from a tabletop cult classic, Cyberpunk 2077 looks like a sensual blend of the Deus Ex franchise and that of Shadowrun. Fans of Blade Runner and similar cyberpunk-esque titles can expect the usual plotline. Mega corporations run by seedy business people (a la Robocop 2) have gone mad with power and, due to the vacuous lack of governmental authority, waged proxy wars against one another through privatized armies. You, the player, will take on the role of an amped up “cyberpunk” in a class-driven open world similar in some degrees to the Witcher series but with some exciting caveats. For starters, the scale is going to take place on a level that makes Witcher 3 look like a quick jaunt through your community park. Cloud piercing skyscrapers, hover cars patrolling zones seedy and bourgeois can be expected as the player utilizes various abilities and tech skills to achieve their goal (whatever that happens to be as the devs have been exceptionally tight-lipped thus far). Another interesting though potentially cringe-worthy feature is multiplayer (there’s those screams of agony again). Despite the expected delay, fans of CDPR’s previous will likely get over it as titles like Witcher 3 experienced similar if not as lengthy delays. 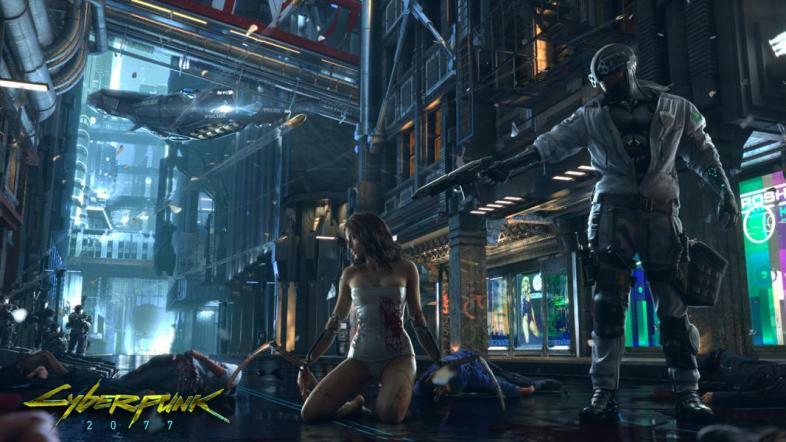 Gamers eager for more info are encouraged to check out Cyberpunk 2077’s Reddit thread and ongoing developers blog here.